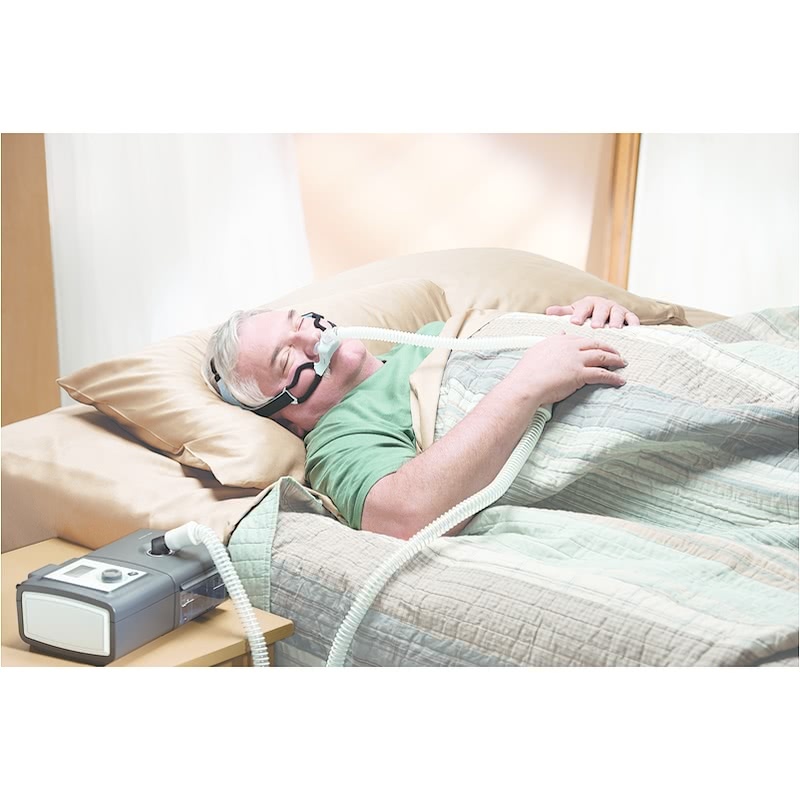 Newer Model Available: GoLife For Men Nasal Pillow CPAP Mask with Headgear Version 2.
" Once I found a comfortable setting for the headgear I slept very comfortably with no discomfort. " " Very comfortable for a person who moves a lot while sleeping. " 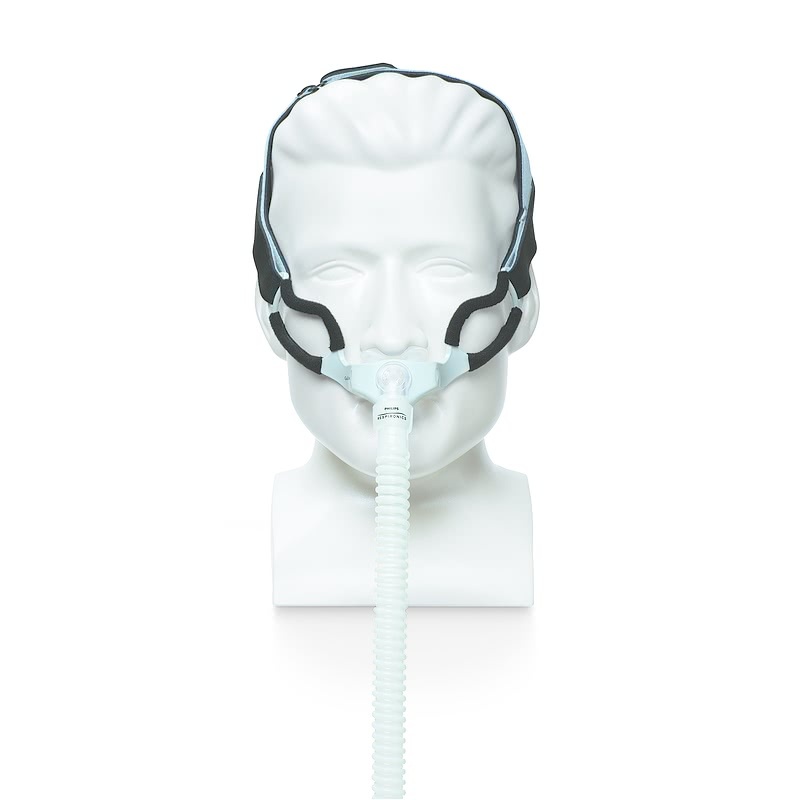 The GoLife for Men is Philips Respironics' first mask designed specifically to conform to the contours of the male facial structure. The GoLife is designed to hug to the face in order to maintain a seal even when moving during sleep. For easy sizing, the GoLife for Men comes with all sizes included. Designed Specifically For Men. 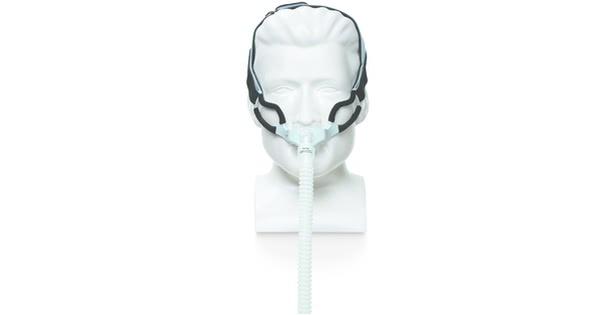 The GoLife for Men Nasal Pillow CPAP mask is designed specifically to conform to the contours of the male facial structure. All Sizes Included. 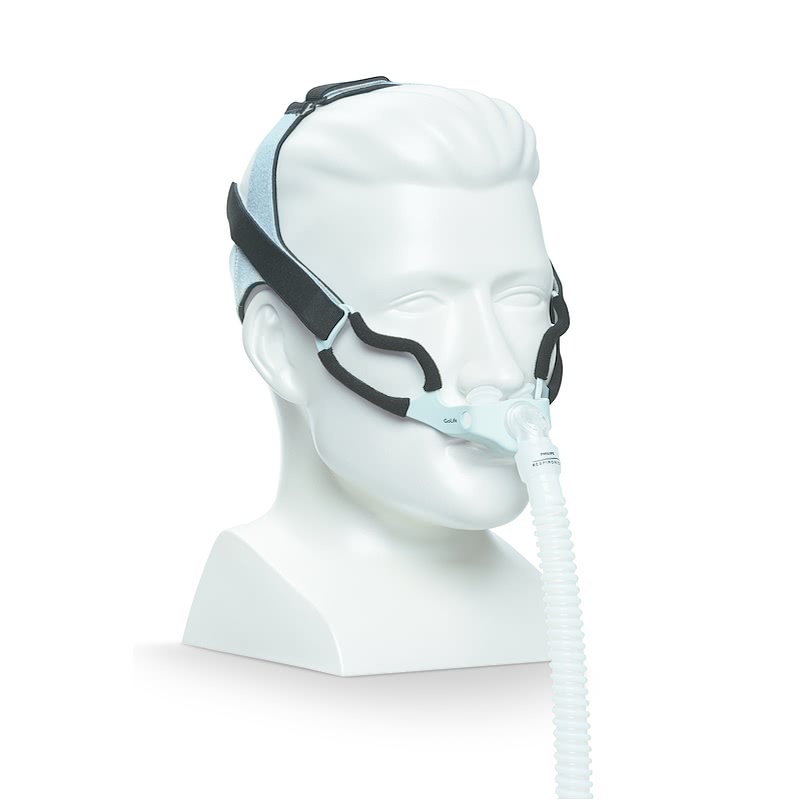 The GoLife for Men Nasal Pillow CPAP mask comes with all size of nasal pillows included: petite, small, medium, and large. Self-Adjusting Nasal Pillows. The nasal pillows self-adjusting and optimally angled design avoids the need for manual adjustment and allows the flexibility to help maintain seal through out the night. Quiet Air Diffusion. 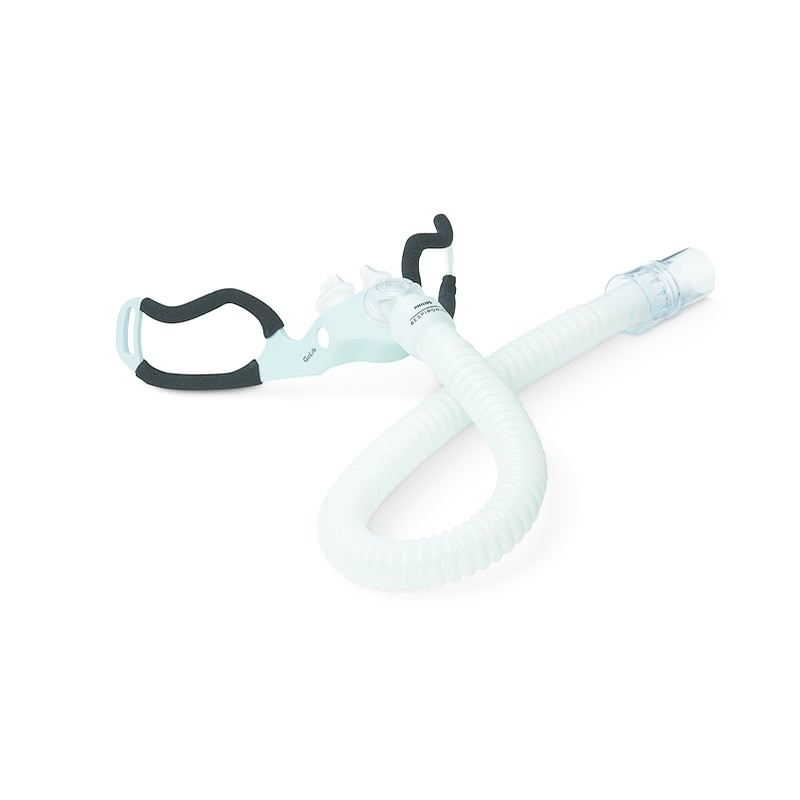 The exhalation port is designed to diffuse air quietly. Simple Headgear. The soft pre-formed headgear is designed for fast fitting and easy adjustment. 360 Degree Swivel. 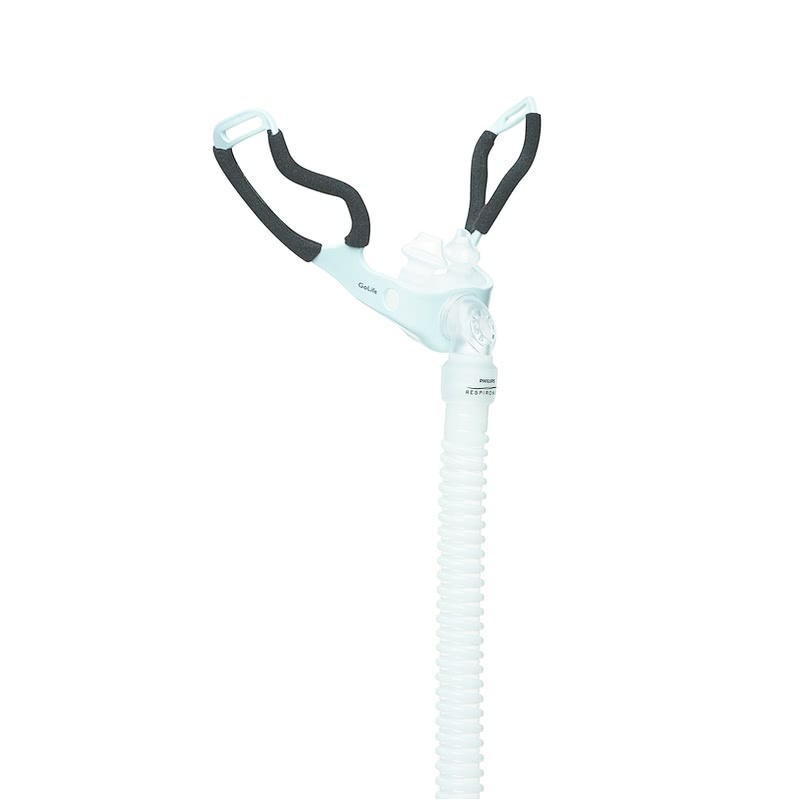 The long, multi-directional 18 inch tube comes with a 360 degree swivel that allows for hose movement during the night without breaking the mask seal. Check out the GoLife for Men Product Guide for fitting instructions and an overview of mask parts. 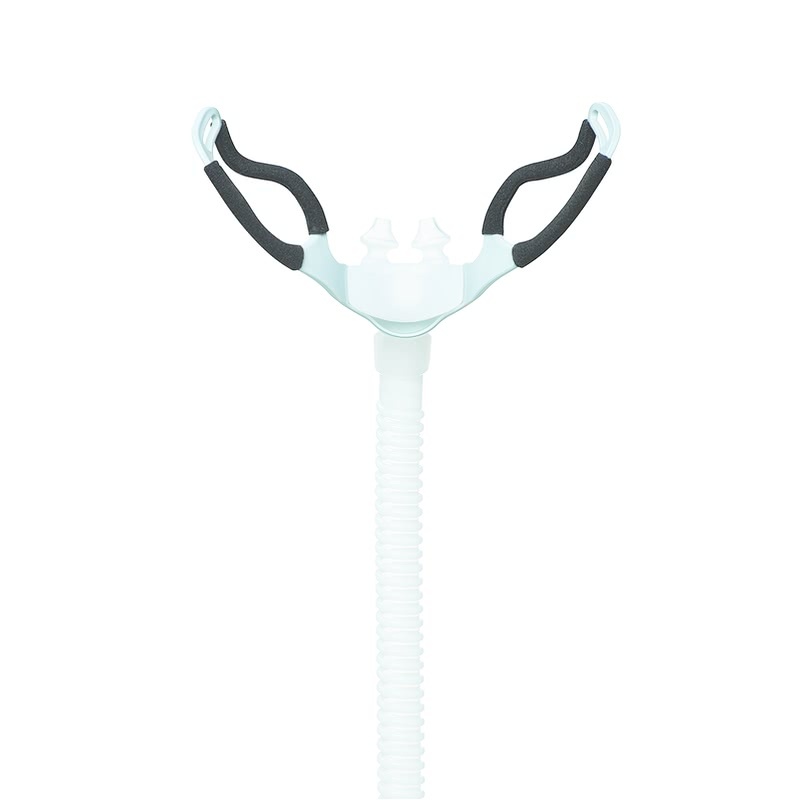 The GoLife for Women Nasal Pillow CPAP Mask with Headgear is now available! Like the GoLife for Men, the female version offers the same customized features designed for the female facial structure. Make sure the side headgear straps are sitting above the ears, like a pair of sunglasses. The top headgear stap should be viewed as optional. If the mask is placed correctly there should not be a need to adjust the top strap.